It has a medium rather flat toe platform and a classical vamp (somewhat intermediate between U and V). 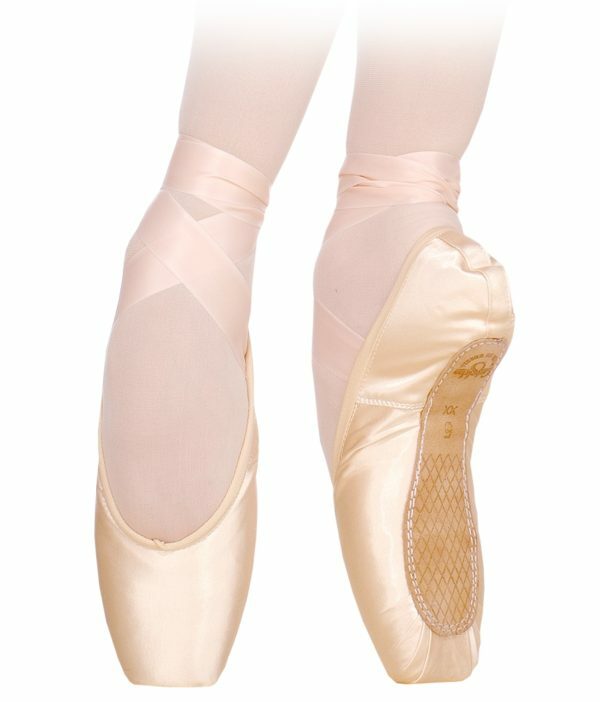 It assures an exquisite line of the foot and arch and it is recommended for all types of feet as for beginners and advanced dancers. Grishko-2007 is a specially designed extra light model with a suede machine-stitched sole. It provides an easy transition from the demi-pointe to the pointe and back. The shoe is distinguished by its perfect balance and placement, outstanding durability, lack of noise and perfect comfort.